B.K.S. 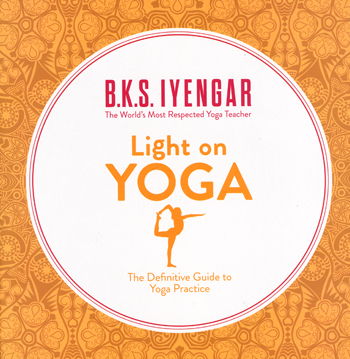 Iyengar's Light On Yoga is established now as the classic text for all serious students of yoga. It contains: a step by step photo-guide to routines for beginners to highly advanced; guide to yoga breathing; introduction to the philosophy behind the Yoga and a guide to healing specific health problems. It contains a new larger format an easier to read edition of this Yoga classic.